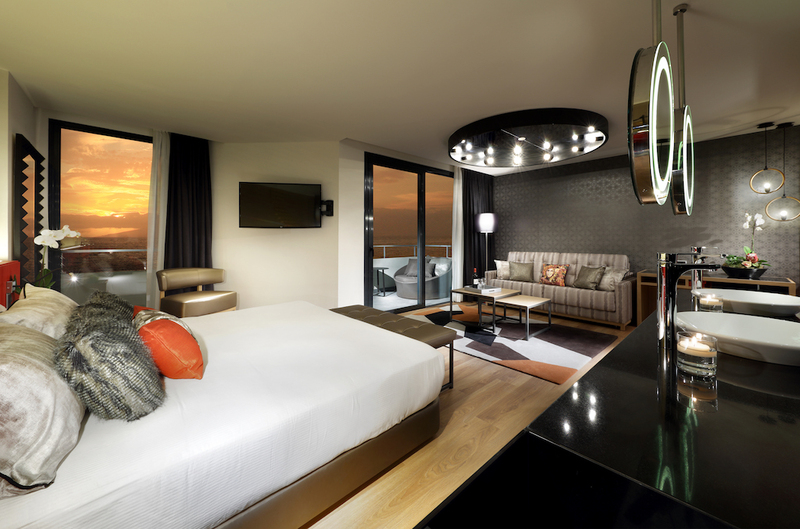 Located on the sunny south coast of the island, Hard Rock Hotel Tenerife has come willing to be a success. Packed with amenities in all rooms and decorated and unique style, it is perfect for adults but also for families with children. It is a mandatory stop on our way through Tenerife. Tenerife is a volcanic and sunny island in Canary Islands choosen as a destination by thousands of world travelers. The weather is fantastic and there are a variety of beaches for all tastes: black volcanic sand, soft and golden sand, small and quiet bays, crowded beaches and fun… Lovers of sun and sea have Tenerife among its favorite places to relax and have an ideal holiday. It is no wonder that Hard Rock chose this island to build the second of its prestigious and modern hotels in Europe. The first is also in Spanish territory, on the island of Ibiza. opened in 2014. In October 2016 we can enjoy the Hard Rock Hotel Tenerife on the south coast of the island, near Adeje. Aren’t you looking forward to knowing it? 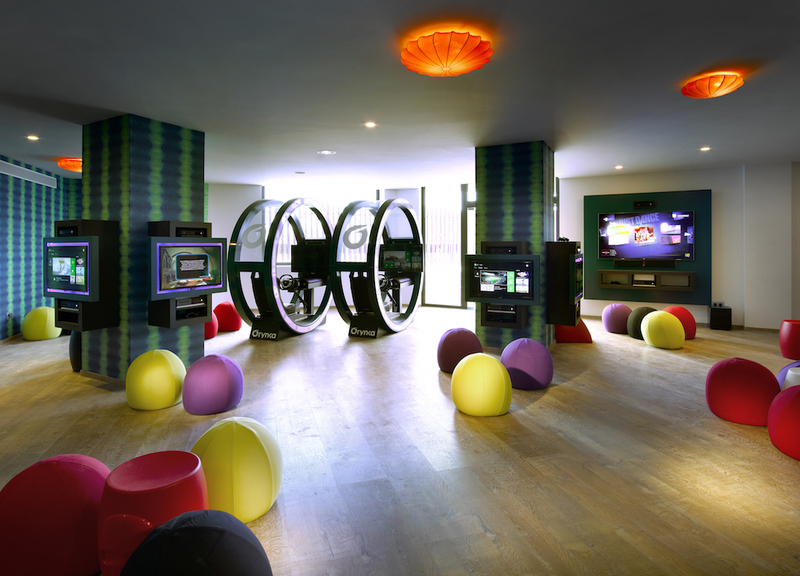 The Hard Rock Hotel Tenerife features 624 spectacular rooms where services are merged with entertainment. In all of them there is access to high-speed Internet, and the most luxurious ones, we can find iPhone chargers, flat screen 42 ” and even Xbox. 82 of these rooms are communicated, perfect for families with children. To top it off, we can choose rooms overlooking the Atlantic Ocean or the pools. 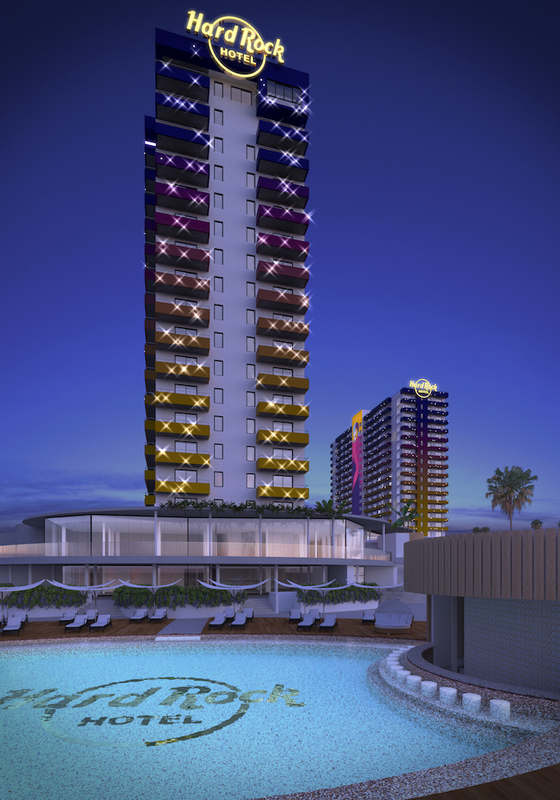 259 of these rooms will be suites, which will be divided into two towers (Oasis and Nirvana) and contemporary interior designs full of style and energy. The Rock Royalty Level house suites in true rock star style with private concierge services. Guests can also enjoy privileged access to a private lounge with stunning views of the Atlantic Ocean. The Rock Star Suite, 154m2, will also have unrivaled views of the sea through a glass-walled terrace. Lunch and dinner at the Hard Rock Hotel Tenerife is a different experience. A number of bars and restaurants are prepared to offer at all times exactly what we want. Meat lovers have at their disposal the Montauk Steakhouse, where you can eat the best quality beef cooked on the grill and spectacular fittings. At The Beach Club at Hard Rock Hotel Tenerife we will sit in front of the lagoon of seawater to enjoy the breeze as we discover their eco-fusion cuisine. At Narumi Restaurant we can taste exotic dishes of Japanese cuisine combined with the best cocktails. If what we like is the Mediterranean cuisine and typical Spanish tapas, nothing better than going to the Ali-Olé restaurant to enjoy the best traditional cuisine. In the 3rd Half Sports Bar we find giant screens and live music while we try various international and Mexican dishes. The atmosphere is assured. At Munchies we’ll discover amazing and refreshing snacks. The undecided ones can always go to the Buffet Sessions, where there will always be a huge variety of dishes to choose from. And of course, there are also several places where you can go to have a drink, such as the Lobby Bar, or enjoy the spectacular views while listening to live music at The 16th Sky Lounge Bar. Finally, at Nirvana and Oasis Pools Bars we can have cocktails and premium drinks by the pools. If we stay at the Hard Rock Hotel Tenerife we can choose from a wide variety of leisure options including seven swimming pools, access to artificial saltwater lagoon and an area with pavilion for concerts composed of a main stage for guest artists and a beach club with Balinese beds, all within walking distance from the resort. The hotel also feature grat facilities as the Rock Hard Rock Spa®, where we can relax in the steam baths or enjoy a massage. It also has an area of hot springs to relax and savor waters and exclusive teas. Shopping enthusiasts will have access to the world famous Rock Shop ®, which offer exclusive merchandising of the brand designed specifically for Tenerife hotel. 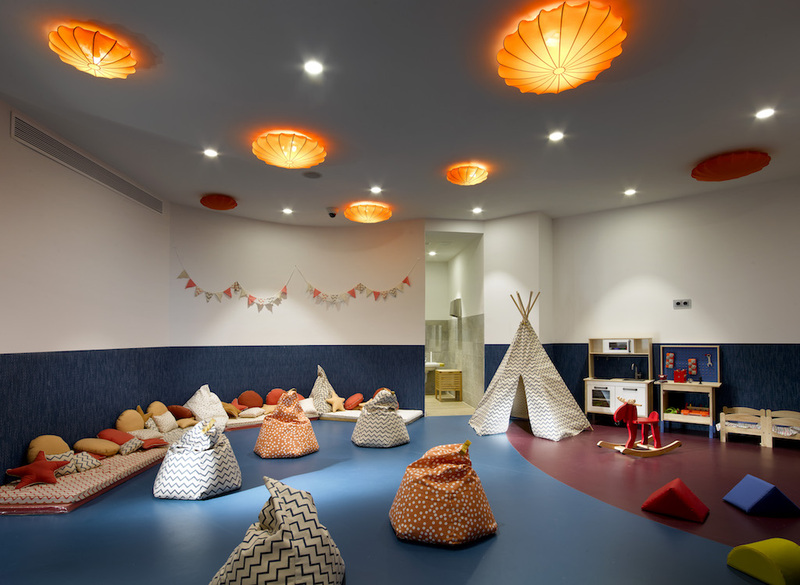 Hard Rock Hotel in Tenerife have not forgotten families with children so they have designed spaces created especially for the younger guests. On one hand we have Lullaby, for ages ranging 6 months and 3 years, a space in which to leave our children while tasting a cocktail. For children between 4 and 11 years, we can faind the Hard Rock Roxity Kids Club, where they can enjoy a wide range of activities focusing on music, games, workshops and competitions. Finally, teenagers between 11 and 17 have at their disposal Teen Spirit, which will have an area of virtual games, Xbox Kinect, PlayStation, tablets, billiards, table football and giant chess, among other activities. 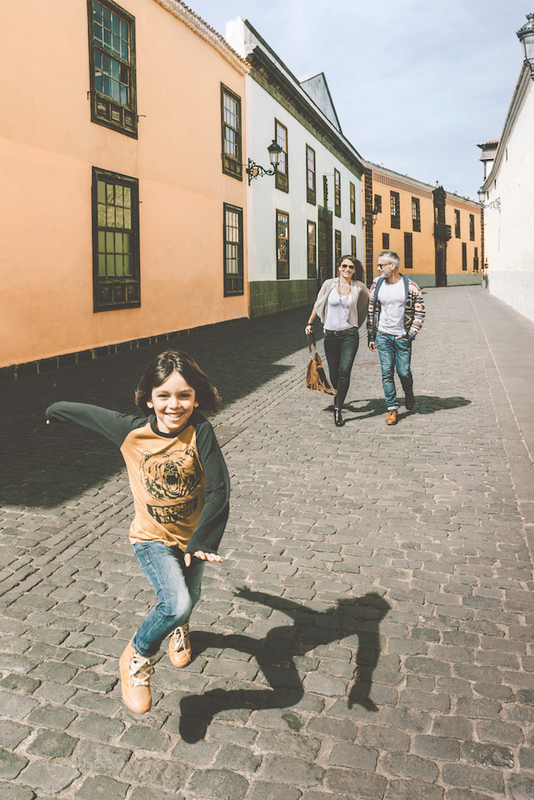 In addition, children can rest our presence while having fun and playing with Roxtars, colorful characters that make your stay more enjoyable. The Roxtars are always ready to play and encourage our children to have fun and be carried away. They will feel like a rock star!